Gold prices have tumbled in 2018, dropping, despite fears of a global trade war and turmoil in emerging-market economies. Such issues are risks that the market has mostly shrugged off, but the precious metal could be well positioned to provide some safety in the event those factors escalate and start to have a bigger impact on equities. Gold is historically an asset class that does well during turbulent financial markets. 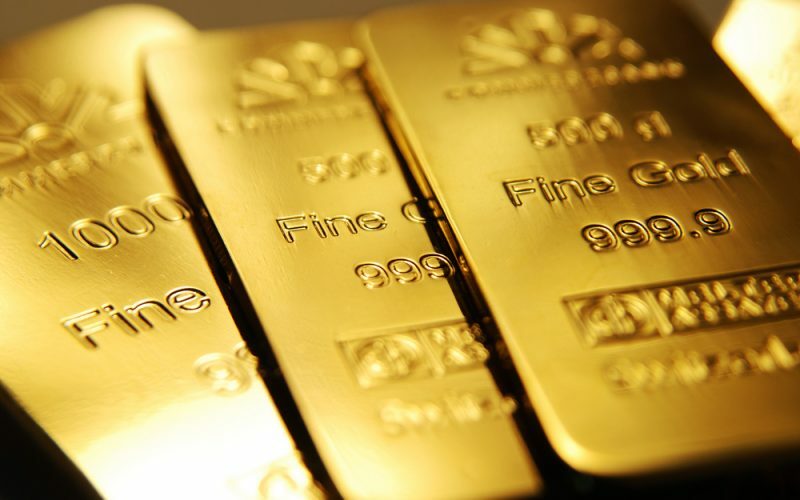 As a safe-haven, the precious metal attracts risk-averse investors during such times. But when markets are doing fine, gold moves in a range, giving no gain for long periods of time. But now many investors are rethinking on these lines and are shifting their focus on the yellow metal. Though gold has declined in the current year, lately it has shown dome positive developments. Past week too gold was lying low till Thursday but gained momentum the following day. Gold prices slid on Thursday as investors purchased riskier assets instead of seeking a safe haven in gold, amid hopes for a new round of U.S.-China trade talks. Spot gold declined 0.3 percent to $1,202.30 per ounce during Thursdays trading hours, after earlier hitting its highest level since Aug. 28 at $1,212.49. But after the economic numbers came in from U.S., gold prices gained rally. Suggesting the Federal Reserve’s pace of rate hikes could slow. The dollar’s index against a basket of six major currencies was a shade lower at 94.442 after slipping to a session low of 94.427, a bottom since July 31. The months-long trade rift between Washington and Beijing has prompted investors to buy the U.S. dollar in the belief that the United States has less to lose from the dispute. Now the current upward trend is propelling investors to once again make place for gold in their portfolio as it can be used tactically as a potential hedge for a stock market correction and/or a reversal in the dollar and real interest rates. A reasonable 3 to 5 per cent of the portfolio can surely be allocated to gold. It’s not only the investors, but leading banks and financial institutions that have also been adding up their gold reserves. Starting in 2008, central banks have been continuously adding gold to their reserves, though gradually and in relatively small amounts. In 2008 and 2009, such institutions added 580,000 and 210,000 ounces of the yellow metal (source- CPM data) and since then the reserves have been piling up, with around 11 million ounces getting purchased in 2017 and similar trend are expected this year too. Russia too has been diversifying its monetary reserves. Most central banks are diversifying away from the dollar. What’s even more interesting is that the RBI has bought 8.46 tonnes of gold in the financial year 2017-18. This was its very first purchase in almost nine pears. The last time RBI purchased gold was in Never 2009 when it has bought 200 tonne of yellow metal from the IMF. Now currently domestic investors are thinking as to what to do with gold that has not given many gains in the last five years. Well the market experts believe that investors will be guided by expectations about where the Indian financial markets are headed and may give more though to gold in the coming months. Though gold has not moved much over the past five years, some are still confused with the thought that with the current global trade wars and currencies dropping against the dollar is it time to go for gold?